As a retailer, you know how significant your decisions are when selecting a location for your store, planning the interior layout and design of the space, and choosing the right people to help you bring your vision to life. In today’s retail environment, these choices are just as critical when you’re setting up and maintaining your website. A recent report indicates that more than 70% of shoppers engage with multiple channels on the path to purchase. 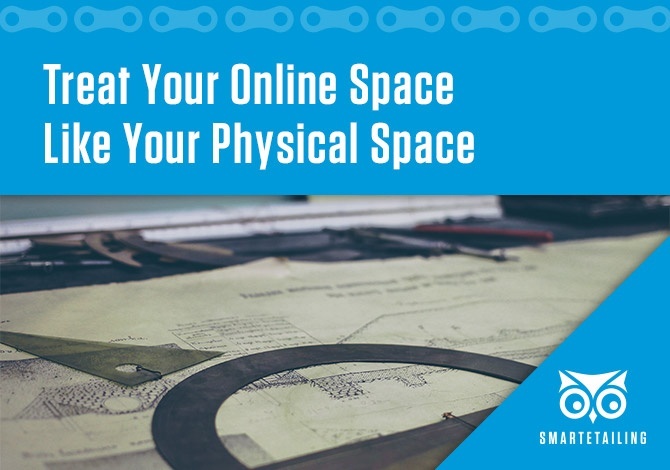 The overwhelming majority of your customers are checking out both your online and your physical store, making your website buildout as important as your brick and mortar buildout. Where you’re going to start laying bricks is the first decision that you need to make when opening a new store. When choosing a location for your physical store, you consider everything from the quality of your neighbors to the safety of the neighborhood. You want neighbors who are thriving businesses likely to bring potential customers to your area, and you want to be in a neighborhood that allows your customers to feel secure when visiting you. Choosing your neighborhood is like choosing your online platform. Does your service provider position you to generate quality traffic? Is your service provider partnered with like-minded businesses in your industry, giving you access to expert advice from a collective knowledge pool and valuable cross-promotional opportunities? Is the environment secure, allowing your visitors to do business with you with confidence? What kind of fixtures do you need or want? Are you happy throwing a coat of paint on the existing cash wrap or do you want to rip it out and build something new that’s unique to your business? What products or brands are you going to stock, and how should they be merchandised? What services are you going to offer? Where will these services be located in the shop, and how are you going to explain them to your customers? What kind of signage do you need? Do you want to design a few custom pieces that highlight your brand identity or should you start out with standard wayfinder signs to help your customers find the basics? These questions are very similar when you’re planning your website buildout. In the physical space, this planning takes the form of blueprints and paint samples. In the digital world, these steps involve content outlines and design mockups. Just as you’d hire an architect to draw up your blueprints, we have a team of digital content strategists and designers available to assist you with this phase of your website planning. We learn about your business priorities, and then we plan the foundation for your online store. Okay, so you’ve got a plan. Now who’s going to build it? While you may be tempted to install those new light fixtures or handle those interesting plumbing issues, your time and effort is better spent on business operations, like purchasing new product, training your staff, and growing relationships with your customers. Similarly, the best thing that you can do for the efficiency of your business is to work with a team of marketing professionals who can handle the details of installing a template, configuring your site settings, and building your content rather than spending your valuable time on these tasks. By delegating to experts in their respective fields, you’ll end up with a professional looking space, in your store and online, and you can focus on the things that you do best as an independent bicycle retailer. You have a beautiful new or redesigned space. Now what? In your shop, you have daily, weekly, and monthly tasks for your staff, including basic cleanup and restocking to remerchandising your displays as new product arrives and aging product moves to the sale rack. Your website requires the same attention. From maintaining your integrations to ensure the best shopping experience for your website visitors to refreshing your homepage content to feature your latest arrivals, our marketing team can help keep your online storefront as tidy, timely, and welcoming as your local brick and mortar store. Your customers rely on you for your expertise as it relates to all things bicycles. Learn more about how you can rely on SmartEtailing’s team for all things marketing.